Brands — including your business or the business you work for — have a monumental task of transforming into publishers. (Because brands are publishers today.) So in your Internet marketing role you’re wearing many hats, developing and optimizing the content to publish across the channels, and coordinating the various interests of the brand across the organization. 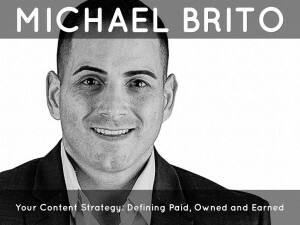 To aid you in this task, we’ve published “Content Marketing Strategies for Professionals,” within which renowned social media strategist and community builder Michael Brito contributes a section on where paid, earned and owned media intersect, and how to maximize the impact of these channels through synergistic strategy. Which brands are standing out as publishers. What the biggest misconception regarding content marketing in 2014. Advice for creating content for socially minded consumers. “While each of these channels play a critical role in your content strategy, the real power is when you can integrate two or more of the channels into one campaign initiative,” Brito writes in the book, available for purchase on Amazon. In his current role as Group Director at WCG, Brito helps clients transform their brands into media companies. Brito has handled social media and marketing strategy for the likes of Hewlett Packard, Yahoo and Intel. He also is a professor of social strategy at UC Berkeley and Cal State San Jose. Discover Brito’s top content marketing tips and his favorite resources in this exclusive interview. BCI: Can you give some examples of the best type of content that can be executed across all media? Michael Brito: Red Bull does a great job telling the “gives you wings” story across paid, earned and owned media. However, they aren’t just blasting the same content everywhere or using various channels to amplify content. If you look closely, they tell the same story in each channel but with a slightly different angle. 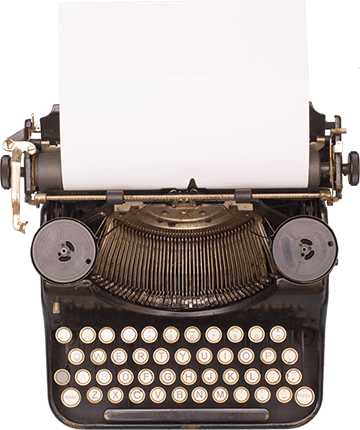 In your own book “Your Brand – The Next Media Company,” you talk about the surplus of content and the attention deficit in the minds of consumers today … can you give us three actionable tips on how to best overcome this in 2014? Tip 1: Have a good story. People love stories and spend 70% of their day telling themselves stories (day dreaming). Having a good story that touches on emotional and rational elements will surely help break through the clutter. Tip 2: Leverage the appropriate platform for the various storytelling initiatives. In other words, don’t just blast the same content in every channel. Each channel has a different audience so mapping content to specific channels is important. Tip 3: Don’t forget long-form content. Too many of us forget the power of Google and don’t realize that tweets, status updates and Instagram posts don’t have search engine visibility. So in addition to trying to interrupt consumers in their feed, it’s critical to create content in blogs, communities, LinkedIn publishing platform, etc. — those have a much longer shelf life. What advice can you give to brands to create the right content for the social consumer? A deep understanding of the consumer is critical to telling good stories. Their passions, behavior and lifestyle interests can all contribute to a content strategy … so the advice is to do a lot of listening and analysis of your target consumer. Can you share some examples of brands doing content marketing right? Definitely Red Bull, as mentioned earlier. But also IBM, Intel and Visage Mobile in the B2B space. All these firms are leveraging content as a strategy and a storytelling opportunity. What is the biggest content mistake of 2014? Can you share links to your top three favorite articles with your byline? Do you have any favorite tools or platforms that make a content marketers life easier? SocialFlow has the ability to publish content on Twitter and Facebook when your brand is actually paying attention. Can you share two of your favorite industry blogs? Digiday — There’s great content about converged media, content strategy and advertising. TopRank Blog — I’ve subscribed to (Lee Odden’s) blog for almost nine years. It always has good content on the intersection of search and social media. What social network is the best for our readers to connect and follow you? Got more questions for Michael Brito? Ask them in the comments! Sadly, alot of marketers do not listen to their customers and therefore force products and services down their throat.. How do you attend to a customer needs when you don’t even know what they want…. ‘a lot of listening and analysis of your target consumer’ – what a great statement to make. Whenever using social media, blogs, or even when creating a website, customers are important. They are the people who are going to tell their friends about you. They are the ones who are going to review whether you are a good or bad company in terms of products, customer relations etc so it should always be about the customer not the sale. Treating people like they matter is going to want to make them visit your site, share content and hopefully in the long run become a paying customer.